f you have decided to finally take the plunge and make your business idea a reality, you’re probably going to need to secure funding in order to achieve your dreams. Regardless of the industry that you want to start a new business in, funding will be essential for getting it off the ground. You’ll need money to set up a new website and buy a domain name, rent a physical space if you need one, launch your marketing campaigns, and purchase stock. But, getting financing for your business venture isn’t always the easiest of tasks. We’ve put together your list of options for getting the funding that you need. If you don’t need a large amount of cash to get your business to where you need it to be, you might want to consider a short-term loan. For example, if you just want money to set up a website and online presence, this could be an easier and more viable idea than going to your bank for thousands of dollars to get started. It’s also one of the best ways to get fast business funding, with many short-term loans accepted in a matter of hours or less, rather than waiting for weeks or even months for the bank to finalize your application. If you have come up with a business idea that you think the general public is going to love, you might want to consider going with crowdfunding as an alternative means of raising the capital that you need to get it started. Today, you can find plenty of websites and apps that allow budding business owners to pitch their ideas and ask for investments from the general public to make them happen. Many of these schemes allow members of the public to invest in your business rather than making a donation, meaning that they’ll become shareholders and make money when you are successful. Attracting an angel investor to your business and convincing them to invest their cash isn’t always the easiest method of getting funds for your new brand, but it’s certainly worth trying. Many angel investors are willing to use their money to help new entrepreneurs get their business ideas off the ground. They often have extensive business experience that they can use to help you achieve success. In fact, many angel investors also act as a mentor, as it’s in their best interests for your business to succeed. Last but not least, if you are going to need a large amount of money to get your business off the ground, consider applying to your bank for a business loan. This is likely to take a while and you’ll have to make sure that in addition to a solid business plan, you’re also able to prove that you have a stable credit history and are able to act responsibly with the funds. 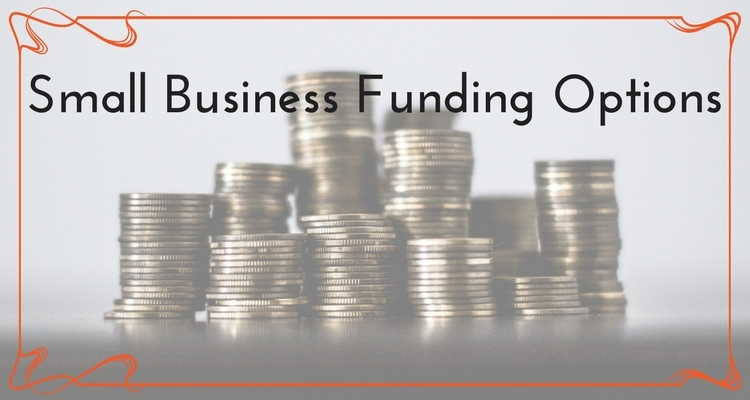 When it comes to getting funding for your new company, there are many different options to consider. Which one will be the best fit for you?